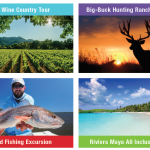 The “TEC® Me Away” Vacation Getaway Sweepstakes! AURORA, IL… Big-buck hunting, back-country fishing, the beautiful beaches of Riviera Maya or the refined wine-tasting and gourmet food of Napa, California could be in the future for one lucky flooring or tile contractor, courtesy of TEC®! · Napa Wine Country Tour – travel and accommodations for a winner and guest for a four-night stay; the prize includes tickets for the Napa Valley wine train. Each getaway represents a value of up to $5,000. 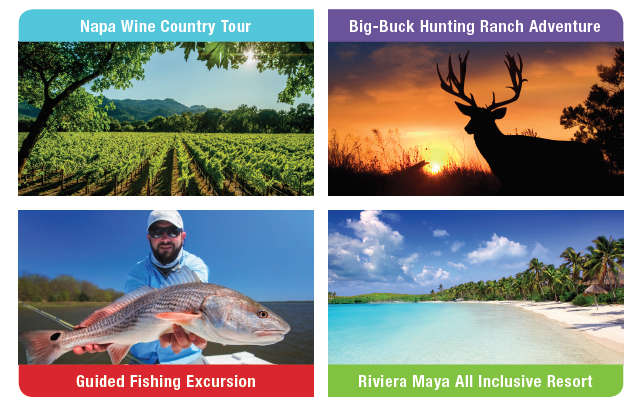 The “TEC® Me Away” Vacation Getaway Sweepstakes runs October 1 through November 15, 2016. One random winner will be selected on November 27, 2016. The different ways a flooring or tile contractor can enter for a chance to win the sweepstakes include: purchasing participating TEC® products at a TEC® distributor (from a list provided at www.tecspecialty.com/win) and then uploading the receipts using the mobile-friendly website, or mailing in the receipts to H.B. Fuller Construction Products headquarters with the printed form found on the TEC® website; or entering without purchase by mailing a 3”x5” notecard to H.B. Fuller Construction Products following the directions on the TEC® website. The sweepstakes allow one entry per day per person. One entry per receipt. The “TEC® Me Away” Vacation Getaway Sweepstakes is limited to fulltime flooring or tile contractors who are legal residents of the U.S. and 21 years or older. No purchase or payment of any kind is necessary to enter or win. A purchase will not increase anyone’s chances of winning. The TEC® brand (www.tecspecialty.com) is offered by H.B. Fuller Construction Products Inc. – a leading provider of technologically advanced construction materials and solutions to the commercial, industrial and residential construction industry. Headquartered in Aurora, Illinois, the company’s recognized and trusted brands – TEC®, CHAPCO®, Grout Boost®, ProSpec®, Foster®, and others – are available through an extensive network of distributors and dealers, as well as home improvement retailers. For more information, visit www.hbfuller-cp.com.